If your Kenmore 41742042100 front-loading washer has water leaking onto the floor, you may need to complete quite a bit of troubleshooting to determine the cause. 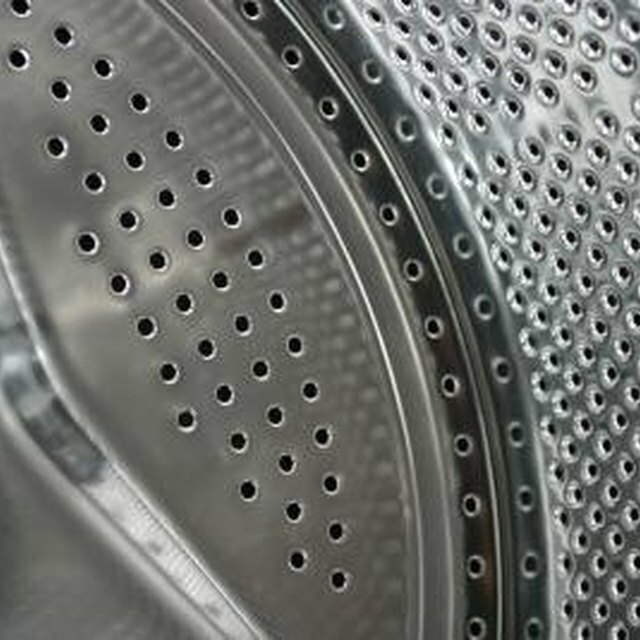 There are multiple locations on a Kenmore washing machine where water can leak. Once you determine what is leaking, you can make the decision whether to correct the malfunction yourself or to call a Sears appliance repair center. Slide the washing machine away from the wall so you can check the plumbing connections behind the unit. There are four water supply connections in total. Inspect the couplers that secure the cold water and hot water hoses to the water shut-off valves mounted to the wall and to the ports mounted on the back of the washing machine. If you see any leaking water, tighten the couplers with pliers until the leaks stop. If the leaks do not stop, turn off the water supply valve, remove the coupler and replace the gasket. Reattach the gasket and restore the water supply. Inspect the water supply hoses for leaks in the lining. Although rare, if you locate a leak in the hose, turn off the water supply for that hose, loosen the couplers with pliers and replace the hose with a new one. Locate the drain hose and the standpipe behind the washer. Turn the washer on and run a short cycle. As the water exists the washing machine, check the drain hose that goes into the standpipe. If the water backs out of the standpipe, pull the drain hose out of the standpipe and snake the standpipe with a drain snake. Place the drain hose into the standpipe and repeat the process. Inspect the coupler that holds the drain hose onto the pump at the bottom of the washing machine and inspect the drain hose for holes while running a cycle. If the hose leaks at the coupler, remove the hose with pliers and replace the gasket. If the pipe has a hole in it, remove the hose and replace it with a new hose. Inspect the pump for leaks while running a cycle. At times, the diaphragm inside the pump leaks and purges water from the housing. Replacing the pump is a task better left up to a repair technician if you are not comfortable disassembling a washing machine. Inspect the seal on the door while running a cycle. If water leaks out around the seal you must replace the seal. Again, if you are not comfortable taking a washing machine apart, consult a Sears technician.